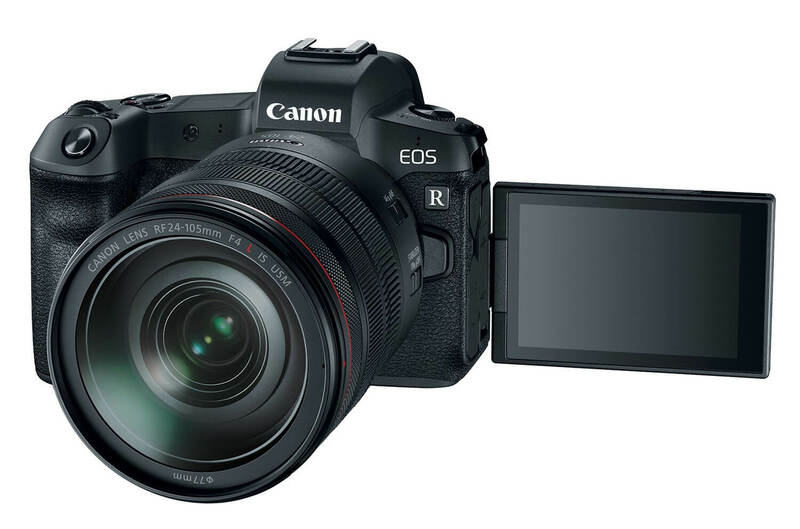 Something to look forward to: Canon is bringing modern amenities to its latest EOS R mirrorless and is allowing you to use your existing lenses. Even though Sony holds a distinct market lead, Canon may be putting up a compelling option for those with large collections of gear. Mirrorless cameras are still relatively new compared to DSLRs, but lack of competition has led to slow development. With Sony holding strong dominance and after Nikon just unveiled new mirrorless cameras, Canon has now decided to introduce a little more competition to the mirrorless space with the EOS R.
The 30.3-megapixel camera is very similar to Canon's DSLR EOS 5D Mark IV, but has all the benefits of being mirrorless. It is capable of shooting 4K video at 30 fps and features a highly versatile lens mounting system. The RF mount on the EOS R allows for Canon's EF, EF-S, TS-E, and MP-E lenses to be used with adapters. For those who do not yet have large collections of camera gear, Canon is launching four new RF lenses. Measuring in at 54mm in diameter, the RF mount is the same size as the EF mount. However, shorter back focus distance lets the lens be closer to the image sensor and therefore leads to better image reproduction. When shooting stills, the EOS R can capture 8 fps with the help of the DIGIC 8 processor, but that number drops down to 5 fps when auto focus is enabled. Dual Pixel CMOS Auto Focus allows for up to 5,655 points to be manually selected with 384 zones for real-time metering. Its ISO range is 100-40,000 with possible expansion up to 102,400. Standard features also include Bluetooth, Wi-Fi, and USB 3.1 so that the battery can be charged while inside the camera. A single UHS-II SD card slot is present for storage, although using an external recorder is possible for video. Canon is making the EOS R available beginning in October 2018. The body only is set to go on sale for $2,299 or as a kit with the RF 24-105 F4 L IS lens for $3,399. The other three RF lenses will be available shortly after launch.